Shipping costs calculates during checkout depending on your location and type of shipping option that you select. Please note that UPS do not ship to PO Boxes. 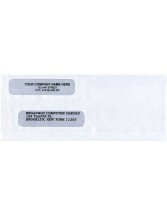 Get your company Logo printed on your checks Free of charge. Just our way of thanking you for shopping at broadwaycomputerchecks.com! Upload Logo: Upload your logo on the order page while ordering. Email Logo: Send us your logo by E-mail after placing your order. Note: Logo is printed in black free of charge. 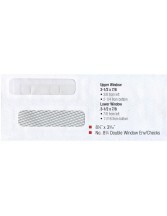 Double Window Security Envelopes For Business Checks Designed To Fit Your Checks – Self Seal, No Water Required. 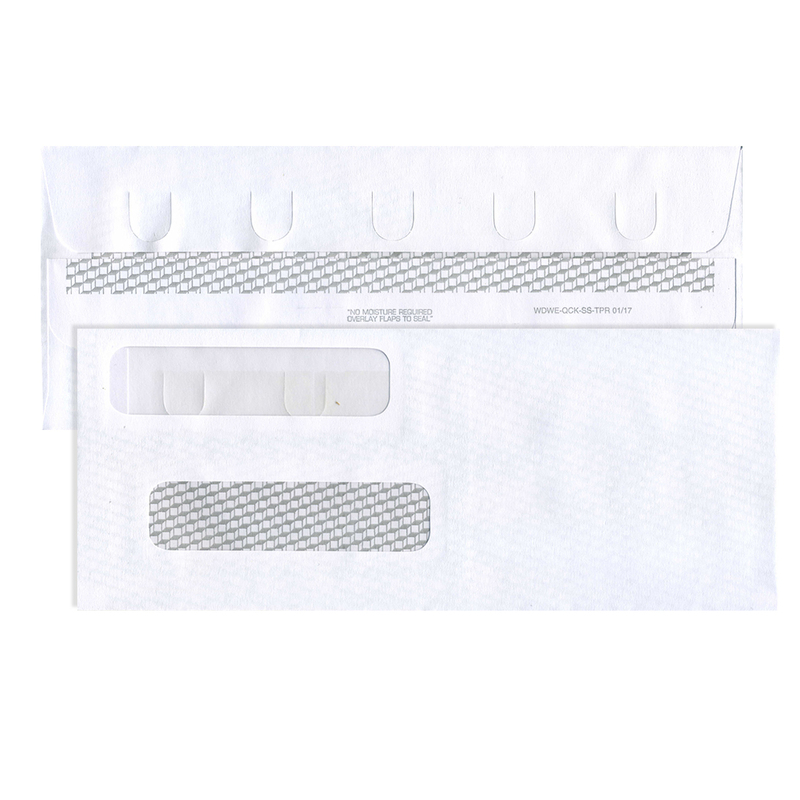 Simply Fold Flap and Press For a Quick Secure Seal. No addressing needed! 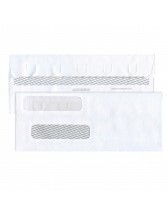 Don't waste money on purchasing shipping labels, or ordering imprinted envelopes. 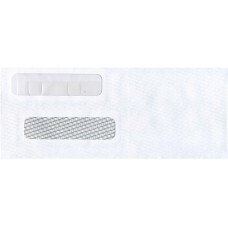 The double window design clearly shows return and destination addresses,that is printed on your check inside of the envelope. 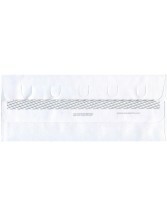 Confidential pattern keeps contents from showing through. Quick Books, Quicken, Peachtree, etc.. If you need any help ordering call us or email us anytime for support. Note: Logo is printed in black free of charge . Need computer checks for your software? Order checks online at the lowest price and fastest service. You have reached the top online store for computer checks, laser checks, business checks and personal checks compatible with Quicken™ QuickBooks ™and all other financial software. Available in more colors and styles. We now have Ultimate Checks & Tamper GuardThermochromic Checks with a Basketweave or Pinstripe design. You'll notice a big difference in the pricing and service you'll receive at Compuchecks.com, where we strive, and achieve, a 5 star rating. See what our Amazon customers think. Order checks now and receive the laser checks, computer checks and QuickBooks™ checks that will keep you, your business, and your finances organized. Order checks at prices as low as $9.95, and receive it within 3-5 Business Days . Order online, by fax, or phone. We have excellent deals on Quicken™ and QuickBooks™ checks. 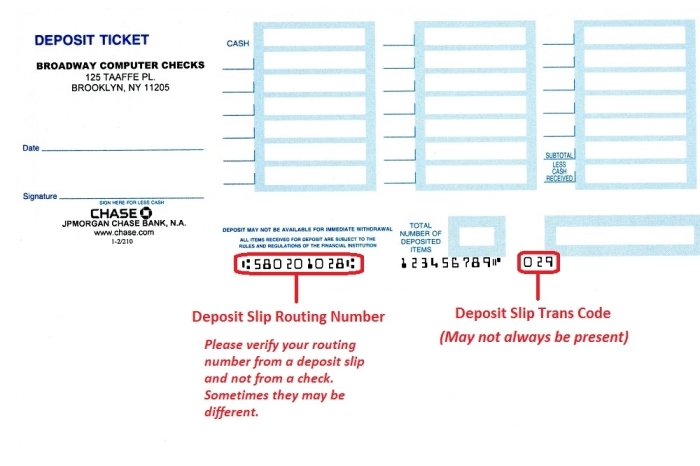 These are the area's of a check that contain the most important information. 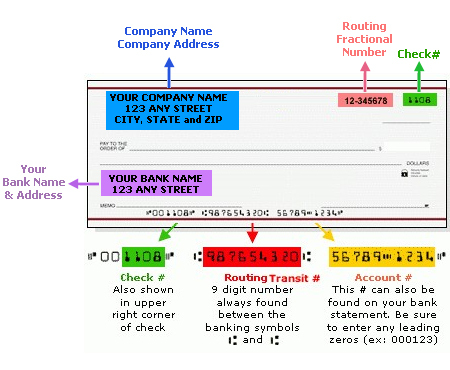 You will need to supply your Bank and Company Names, Addresses, the Check #, Routing Transit #, Account #, and Routing Fractional #, when ordering your checks. Please consider printing this page for future reference (highly recommended if this is your first time ordering online). How do I know if I need reverse numbering? If your sheet-fed (i.e., laser, inkjet, or bubblejet) printer loads from the front, you may need to request reverse printing. 1. Mark a sheet of paper on one side. 2. Load the sheet into your printer, marked side up. 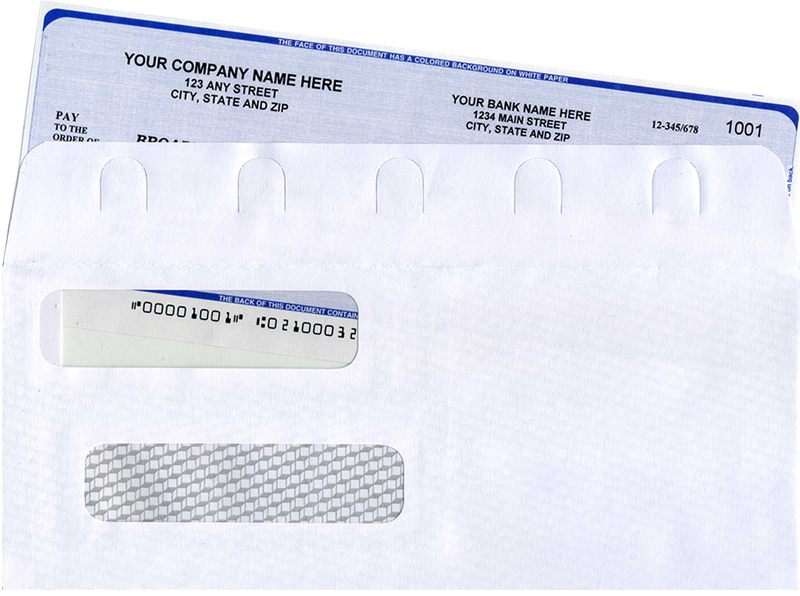 If your document prints on the unmarked side, ask us to reverse-print your checks. You'll receive them with the starting number at the bottom of the stack, rather than at the top. You can easily and quickly order all your checks - We can have huge variety of all types of checks including for your business, all types of Quickbooks and Quicken checks and computer checks. 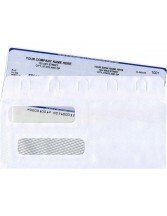 We have all types of checks and accessories that you need for your business and personal use. We have the best prices! Please check above our prices and contact us if you need any additional information.